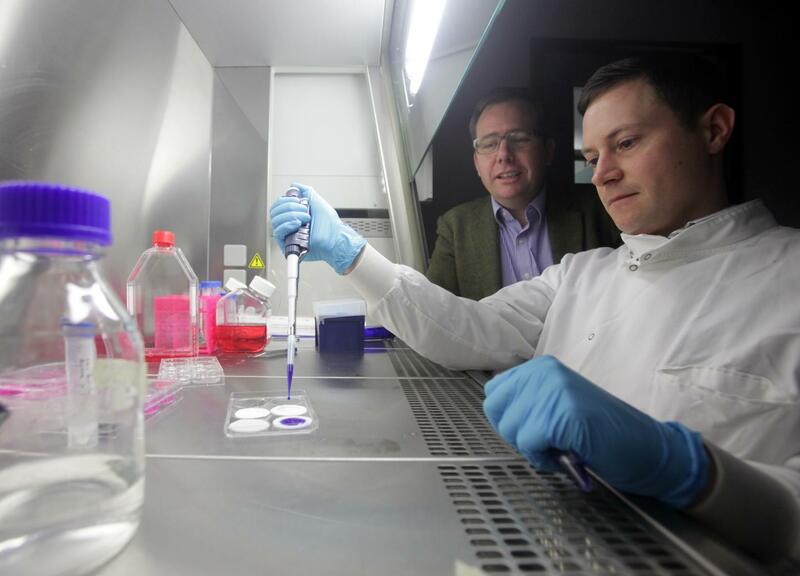 Atelerix, a spin-out from Newcastle University, UK is offering the transformative hydrogel technology for the storage and transport of viable cells including stem cells and cell-based assays at ambient temperatures. This overcomes the barriers presented by the current need for cryo-shipping as it is simple, cell-friendly and offers immediate access to stem cell therapy. This opens up the market for the supply of cells and assays in a ready-to-use format, allowing suppliers to increase the range of assays available to consumers and to scale up their businesses. The breakthrough, patented invention, provides dramatic improvements to an everyday process in a rapidly growing market. Scientific founder, Professor Che Connon of Newcastle University, has been working on the underpinning technology for five years. He said: "Encapsulating cells in the alginate hydrogel is a simple, low cost system capable of preserving the viability and functionality of cells at temperatures between 4 and 21°C for extended periods of time. "Used as a method of cell storage and transport, it overcomes the acknowledged problems associated with cryo-shipping. Cells are encapsulated by in situ formation of the gel for shipping in plates or vials, and can be rapidly released from the gel by the addition of a simple buffer." Atelerix is set to revolutionise the market with their use of encapsulated stem cells as Dr Mick McLean, CEO for Atelerix explained: "Understanding both the technology and its commercial potential is essential for the translation of great science into an exciting business opportunity. "Putting these elements in place by working together with the expert scientific team means that Atelerix has a clear value proposition – we enable the transport and storage of human cells at room temperature." The hydrogel technology allows immediate access to cells and can be used in a range of applications where high quality cells are essential. The shipping of cells from one location to another for clinical and research use is a widespread and everyday practice, and consequently there are many potential commercial outlets for the hydrogel encapsulation technology. Research tools – a business-to-business approach of working with companies who sell high value cell assays and cells for Research and Development purposes (R&D assay companies), to help expand their product ranges, scale up their businesses, attract more customers and save costs. StemGel, the stem cell bandage – development of proprietary therapies such as the stem cell bandage (StemGel) to treat injuries, burns or wounds with an initial focus on the cornea, the outer surface of the eye. Biologistics solutions – a cGMP service to cell therapy and regenerative medicine companies and organisations to enable better transport of viable cell products between the patient or donor, the processing site and the clinic. Atelerix, is the first spin out company created under a new joint collaborative project between Newcastle and Durham Universities, UK. The Northern Accelerator project, which is part-funded by the European Regional Development Fund (ERDF), is creating high technology spin-out companies by attracting talented business leaders to the innovative commercial opportunities both created and developed in the north east of England. Through this, experienced life sciences business leader Mick McLean was brought in to work alongside the founder academics, Professor Che Connon and Dr Stephen Swioklo. Dr McLean said: "Working alongside the University team on the strategy for the Intellectual Property and the corporate framework has really helped give the business a base from which to expand as it starts to move on from its academic roots." David Huntley, Head of Company Creation at Newcastle University and overall Project Manager, said: "Atelerix is an excellent example of the clear benefits of the Northern Accelerator programme. By combining Mick's business skills with the technical excellence of the scientific team's world-leading background research, we have created a brand new technology business that we believe will make a real and significant commercial impact."